Announced after the close of trading on Thursday, Goldman Sachs $5.1 billion settlement with the U.S. Department of Justice, AGs from NY and IL and two other federal agencies in connection with the big bank’s underwriting and sale of mortgage-backed securities (MBS) sounds whopping, but seemed to have little impact on the Squid’s stock price in after-hours trading ..Below extract courtesy of CNBC..
MarketsMuse blog update profiles Goldman Sachs preparing for a launch of its own ETFs. 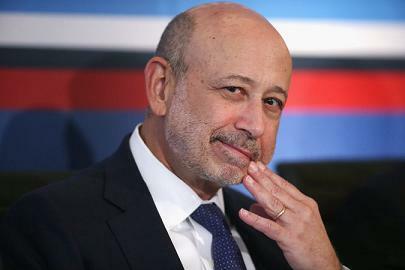 Goldman Sachs is the largest U.S. investment bank and they are finally going to make the move to become a huge player in the ETF industry. The firm has completed all its necessary paperwork with the SEC as of May 4th for its six ETFs. These six new ETFs include: Goldman Sachs ActiveBeta International Equity ETF (GSIE), Goldman Sachs ActiveBeta Emerging Markets Equity ETF (GEM), Goldman Sachs ActiveBeta Europe Equity ETF (GSEU), Goldman Sachs ActiveBeta Japan Equity ETF (GSJY), Goldman Sachs ActiveBeta U.S. Large Cap Equity ETF (GSLC) and the Goldman Sachs ActiveBeta U.S. Small Cap Equity ETF (GSSC). This MarketsMuse blog update is courtesy of ETFTrends’ Tom Lydon and his article, “Goldman ETFs Near Liftoff“, with an excerpt below. 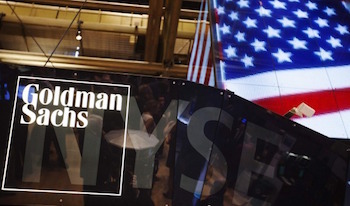 Goldman Sachs (NYSE: GS), the largest U.S. investment bank, is getting closer to launching its own exchange traded funds. 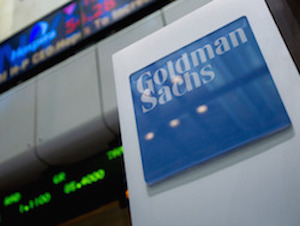 In a filing with the Securities and Exchange Commission dated May 4, New York-based Goldman Sachs revealed tickers and fund managers for its six “ActiveBeta” ETFs as well as tickers for its five passively managed ETFs. Among Goldman the managers for the ActiveBeta ETFs are “Steve Jeneste, a managing director most recently oversaw portfolio management of macro and multi-asset strategies. Another is Raj Garigipati, vice president, who most recently served as chief risk officer for Goldman’s QIS unit,” reports Chris Dieterich for Barron’s. To continue reading about Goldman Sachs preparing for the launch of its six “ActiveBeta” ETFs, click here. MarketsMuse.com update courtesy of extracts from today’s edition of Traders Magazine. Yet another coin is being tossed into the fountain of Bitcoin dreams and wishes. The latest aspirant and first to file a full-blown registration for a “Bitcoin Bourse”with the CFTC is “LedgerX”, a company led by former 6-pack broker-dealer and MIT Alumni Paul Chou, who was most recently a Goldman Sachs trader. According to the filings, LedgerX hopes to become a fully-regulated derivatives exchange clearing house. 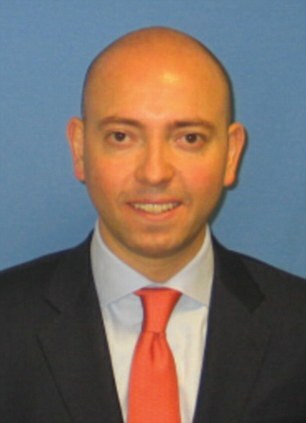 While at Goldman, Chou was responsible for developing, trading and risk managing algorithmic equity trading strategies for U.S. and Japanese markets. Also, he developed a set of cross-asset strategies and devised a method to unify and optimize the trade flow across hundreds of trading algorithms. 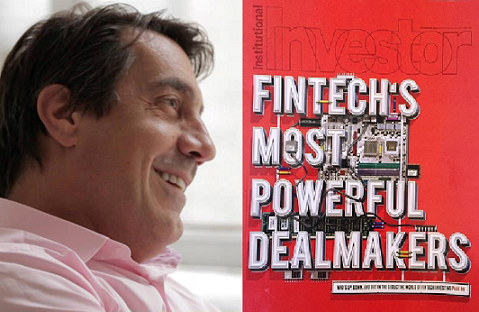 Prior to Goldman, Chou delivered trading and spread-risk tracking tools on projects for Citadel Investment Group and Morgan Stanley. Chou, who serves as chief executive officer of LedgerX, is designing the exchange and currently has filed registration papers, bringing the bourse one step closer to reality. LedgerX’s registration, filed with the CFTC, is open for public comment until Friday, January 30th. On December 15th, the CTFC requested comments on the LedgerX submission. If approved by the CFTC, LedgerX would be the first federally-regulated Bitcoin options platform and clearing house to list and clear fully-collateralized, physically-settled Bitcoin options for the institutional market. LedgerX has also applied for registration with the CFTC as a swap execution facility and as a derivatives clearing organization on September 29, 2014. LedgerX is backed by several high profile investors such as Google Ventures and LightSpeed Ventures. Also, Jim Newsome, former chairman of the CFTC and former chief executive of NYMEX, and Tom Lewis, former CEO of both Ameritrade and Green Exchange, currently sit on the LedgerX board of directors. 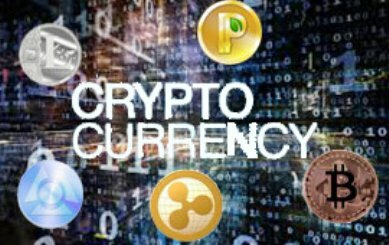 Simultaneously, to build a Bitcoin derivatives market, he is bringing together corporations seeking to hedge their Bitcoin exposure and financial institutions searching for trading and investing opportunities in Bitcoin. According to Chou, more than 80,000 entities accept Bitcoin, including brand names such as Dell, Expedia and PayPal. NEW YORK (Reuters) – A year after Goldman Sachs <gs.n> bungled a software upgrade and lost tens of millions of dollars from unintended trades, the 12 U.S. stock options exchanges have crafted new rules for dealing with erroneous transactions, according to draft documents seen by Reuters. Under the proposed rules, unintended trades placed by professional traders will usually have their prices adjusted to levels as close to their fair market value as possible, while wrong trades by retail customers will be mainly be undone, five sources with knowledge of the matter told Reuters. The rules are meant to protect investors from algorithms gone wild and other sources of market turmoil. Regulators and exchange operators across equities, commodities and other markets have been taking steps to prevent mistaken trades from spiraling into collapses, a rising concern as trading grows increasingly automated. If you haven’t read, or at least heard about the brouhaha surrounding GoldmanSachs’ former head of equity derivatives Greg Smith and his farewell-to-the-firm soliloquy in today’s New York Times, you might be on an advance scouting mission to Mars on behalf of Newt Gingrich. Aside from this story occupying Wall Street, and the hearts and minds of the talking heads at CNBC, as of this writing (1:40pm, EST), Google data indicates “Greg Smith/GoldmanSachs” has been mentioned more than 250,000 times across the “Net” , not including this phrase being one of the Top 5 Twitter tweet phrases across the globe. Move over Ashton Kutcher; Greg Smith is now an uber super-star for bearing his soul in a dramatic ending of his career as the spawn of “The Squid.” And, let’s not forget to mention that while Smith’s letting the door hit himself on the way out might impact his severance, it has also made him a fav among ethical females. My better half, struck by the ethos articulated by Smith’s op-ed, txt’d me to ask whether I knew if Greg Smith is single. She claims to have posited the question on behalf of our marrying-age daughter; but any idiot that knows us could easily detect the inherent conflict of interest; no doubt my wife can guess that Smith is too old for our daughter, but just right for her mom the cougar.